Fluent Mind Map is an excellent iPad app that you can use to easily map your thoughts and generate and organize your ideas into an elegant mind map. 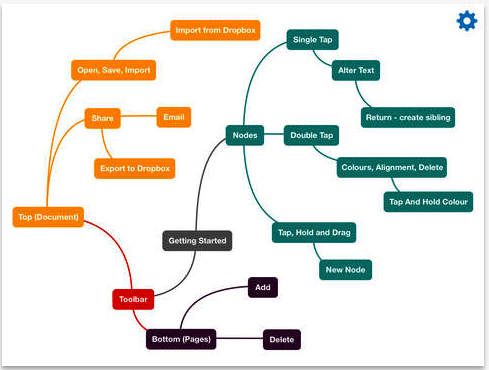 Fluent Mind Map provides you with easy to use editor where you can add nodes, change text, make colourful nodes, zoom in and out, and many more. Mind maps you create on Fluent Mind Map can be shared in a variety of file formats including PNG, PDF, and SVG. You can also share your mind maps directly to your Dropbox or through email using the document picker. iCloud Drive is also supported by the app so that you can seamlessly sync all your works across different iOS devices. Share mind maps with friends, colleagues and clients using email or third party storage providers and using common formats like PDF, PNG and SVG. Fluent Mind Map is free today. Its regular price is $2.29.